I’ve concluded there’s not many things more fun in the world of AR’s than a simple and reliable 9mm AR carbine. 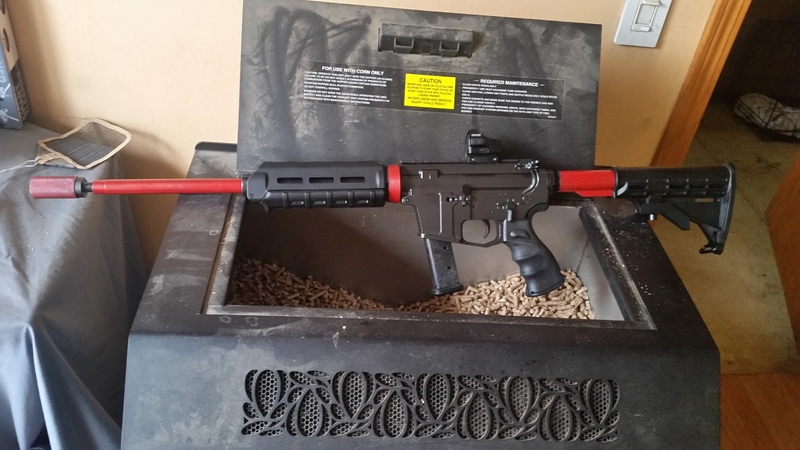 As mentioned in a recent article on carbine caliber ARs, I had decided to build a 9mm AR carbine as a range toy. My goal was to keep costs around $1,000 and come away with something that used Glock mags and could compare with my B&T APC9, which impressed during a comparison I did with carbines vs. the 300BLK SBR. In response to that article, AR15Discounts was kind enough to send me parts for a build…and I’m pleased to report the pistol has turned out even better than I could have hoped. The finished 9mm AR Build with parts courtesy of AR15Discounts…minus the Octane 9 suppressor. Now, let me be clear up front: For defensive purposes, my 300 Blackout AR remain king of the castle, with less recoil and report than the 9mm. 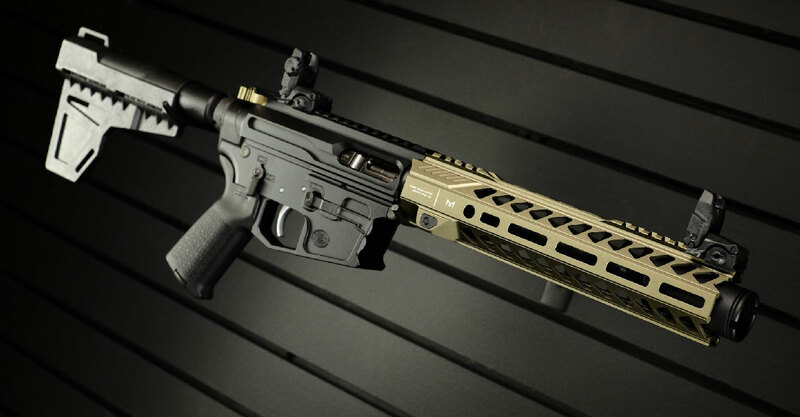 But, for plinking and fun, this 9mm AR Carbine build is a no-brainer. The B&T APC 9 (left) is one of my current favorite “fun” guns in 9mm. 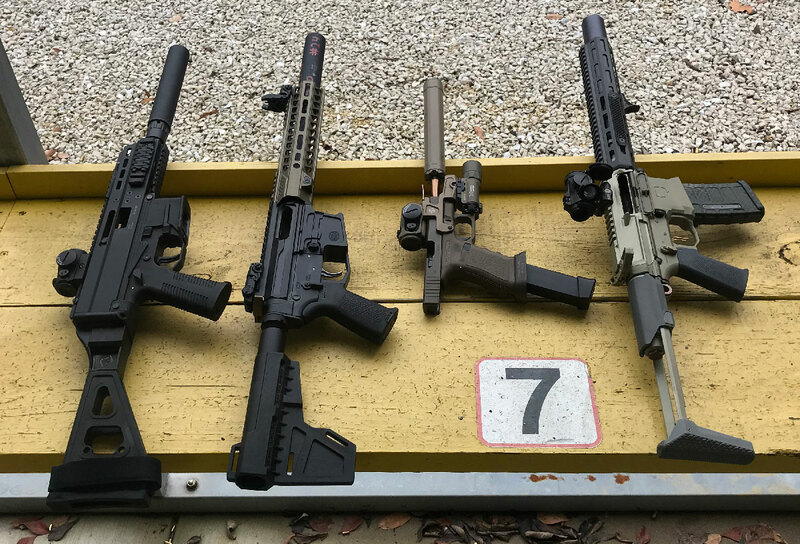 Could my new inexpensive 9mm AR build (second from the left) be as dependable or as much fun as the B&T or my other current favorite “fun” guns…the ALG 6-second Glock or my much beloved go-to PDW, the Honey Badger? When I received the packages of build parts in the mail, what stood out most was the beautiful receiver from Dirty Bird Industries. The new Dirty Bird DB9 receiver set has some of the best build quality I have seen in a pistol caliber lower. 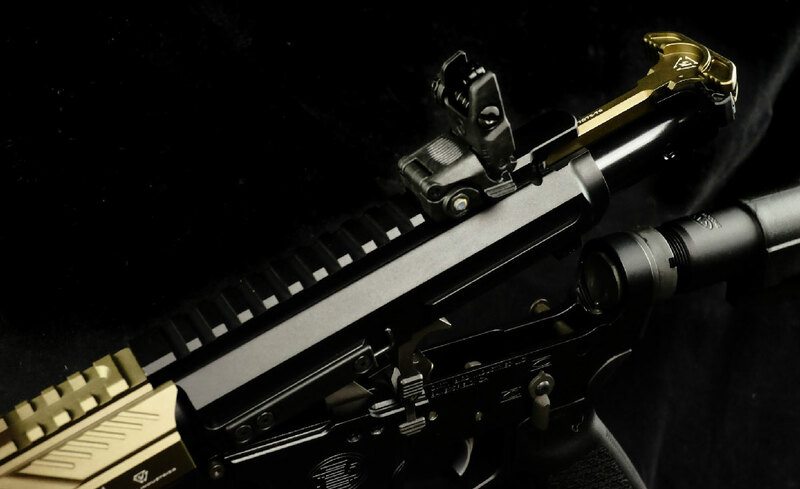 It’s machined by New Frontier Armory from a solid block of 7075-T6 alumnium, and has a black anodized coating. The lower also accepts Glock magazines, which was a key requirement for me. On the range, this receiver set impressed. 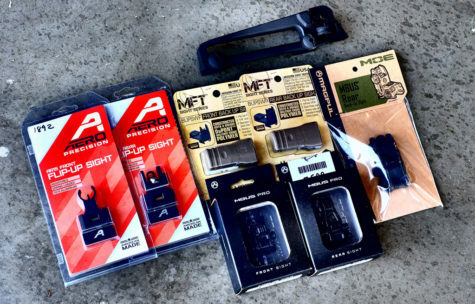 My mags dropped easy and free using both standard and extended factory Glock mags. With its use of a standard mil-spec bolt catch, last round bolt hold-open was also flawless over the course of 30-plus magazines. Also worth noting, I built the receiver up with an NBS ambi safety selector, a Strike Industries Extended Latch Charging Handle, and a Magpul MOE pistol grip. Finally, a simple pair of Magpul MBUS was added. 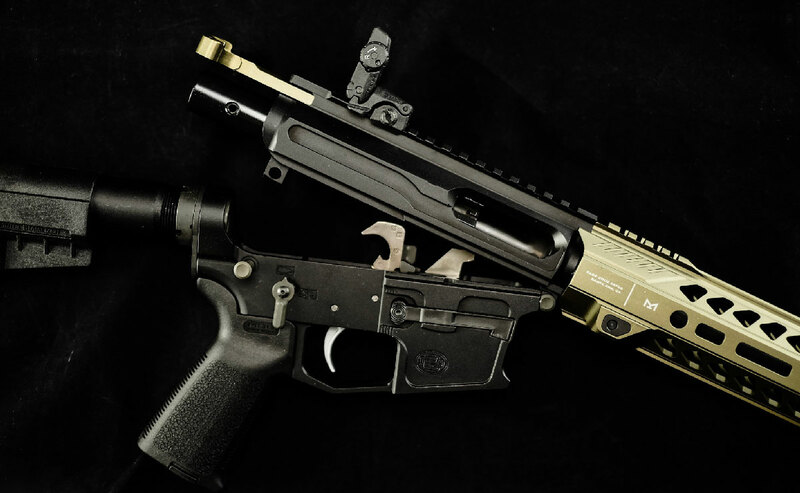 In discussing this build with AR15Discounts, I decided I wanted something slightly better than mil-spec, but nothing too expensive, as again, I was trying to beat the B&T APC9 for HALF the cost. Going overboard on a trigger didn’t make much sense. 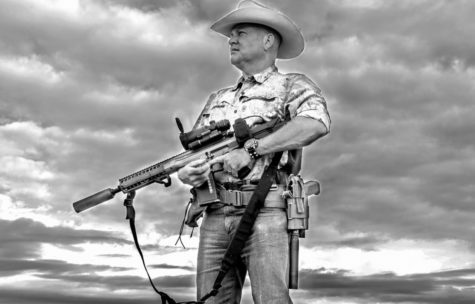 Frankly, I’m fast-slapping a trigger to hit large steel plates at 15-20 yards…To me, the ALG ACT Combat Trigger was an ideal solution. 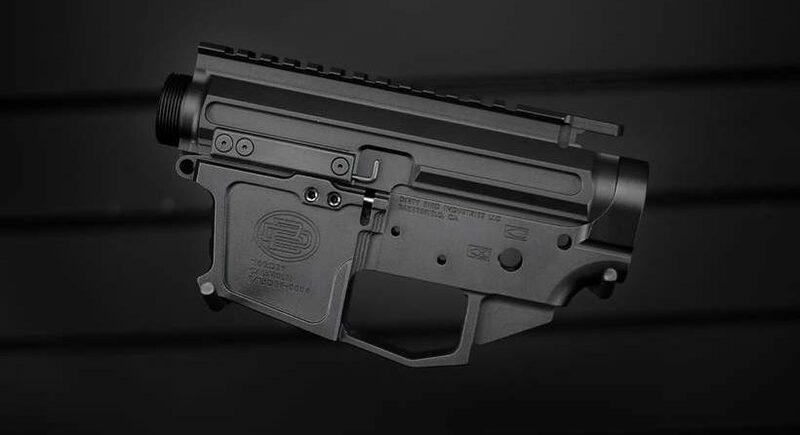 It’s basically like cleaned up mil-spec trigger, minus the grit. I’ve heard a lot of good things about the ODIN Works 9mm bolt carrier group and was not disappointed when it arrived. 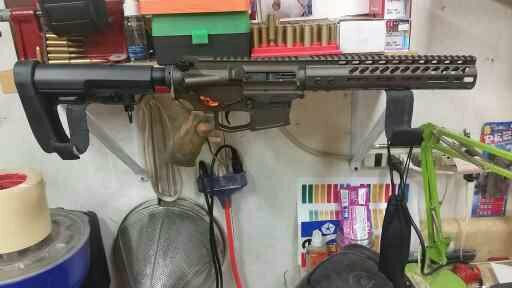 It is a 9mm blowback type bolt carrier advertised to work well with Glock-compatible lowers like the Dirty Bird. At the range, the gun ran like a sewing machine. 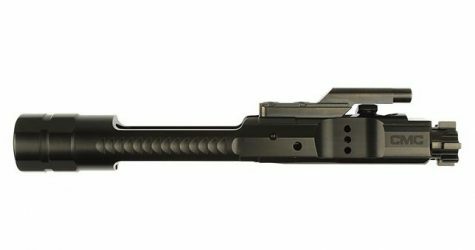 Some credit must go to this bolt, which has an external M-16 style extractor, vs. the possibly problematic internal style. 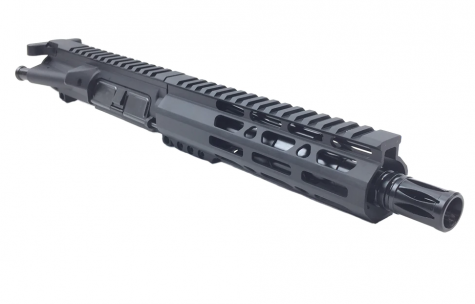 For the barrel, we ended up going with the Ballistic Advantage 8.3” 9mm modern series. Now that I plan to keep the pistol suppressed full-time, I’m thinking a shorter 4” barrel underneath the handguard with an Octane 9 suppressor peeking from underneath might look pretty slick. For now though, I like the overall profile. 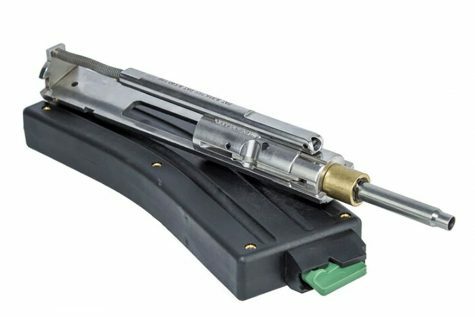 It’s a great barrel for simple builds, as it is compatible with all styles of bolt carrier groups and both Colt and Glock magazines. 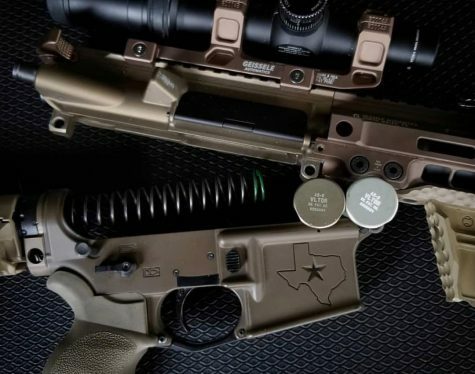 I was sent the FDE version of the Strike Industries Strike Rail M-LOK Handguard at 10”…with the idea being the inside dimensions of it at 1.57″ would accommodate my Octane 9 suppressor with some room to spare. The outer dimensions of that particular can is around 1.37. 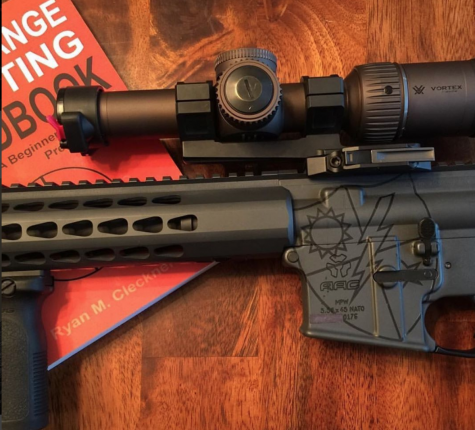 Making sure the Octane 9 can clear the Strike Industries handguard. 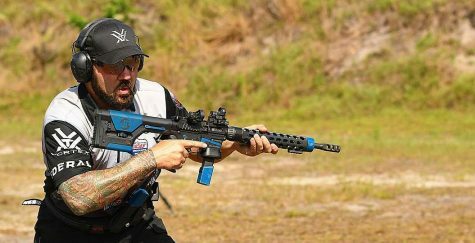 This was my first experience with the Strike Industries Handguard and I was quite surprised. To be honest, I had heard a bit of negativity over the fact that it’s imported…but to its credit, the rail had a great fit and finish and went on without any issues. The FDE also looked wonderful. When the suppressor is not on the firearm, I opted to put a Blitzkrieg Tactical Flash Can on it. It has a nice look. If I pretend hard enough, it is about what it would have looked like had we gone with the 4” barrel plus the suppressor. 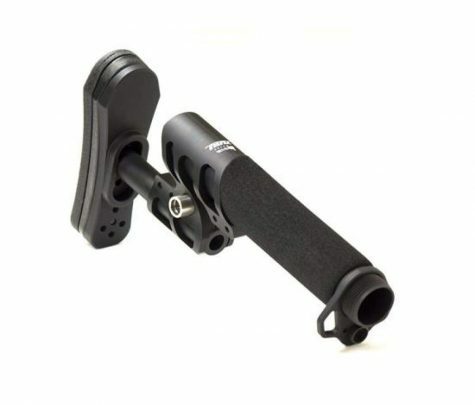 I’d seen the KAK Shockwave before, and for a no-nonsense, inexpensive stabilizer it does not disappoint. 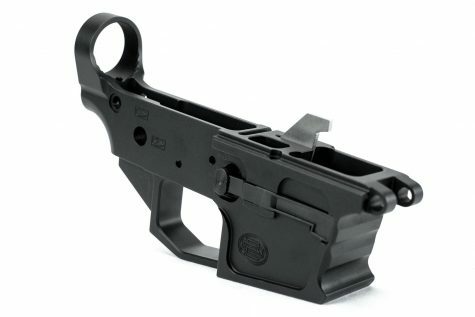 It compares very favorably with the stabilizing brace on the APC9. In practical terms when comparing the two while shooting, you don’t notice a difference. The KAK Shockwave was installed onto a KAK Shockwave Pistol Reciever Extention/Buffer Tube paired with a mil-spec carbine buffer spring. Inside sat an extended KAK 9mm Carbine Buffer. 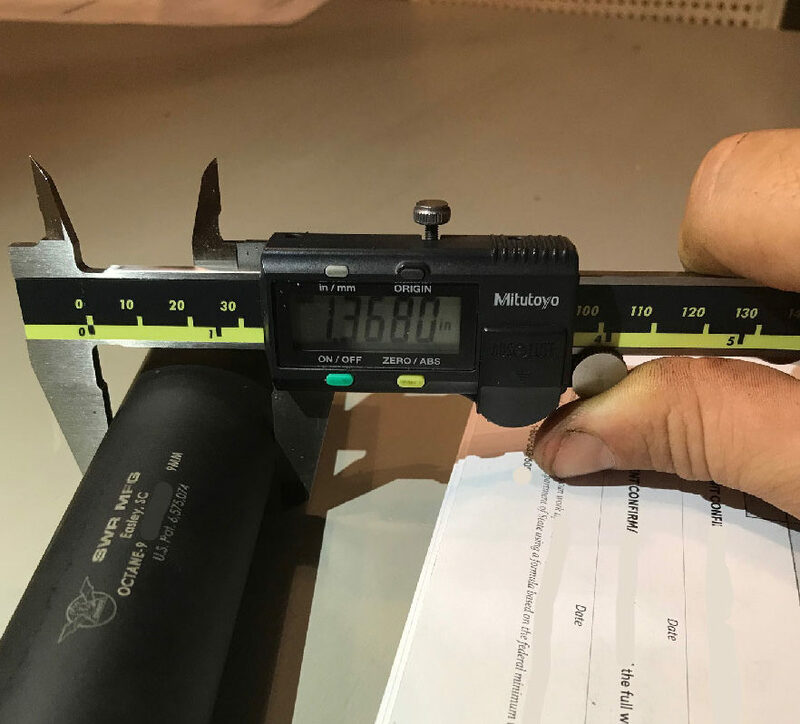 AR15Discounts sent me this extended version because, in a 9mm AR Carbine, the 9mm BCG travels farther back into the buffer tube than a 5.56 BCG typically does. Due to this overtravel, there is potential to damage the bolt catch by placing undue stress on it. In addition to the extended buffer, I was also sent a heavier buffer as well, just in case I had issues. I brought along 10 boxes of 115-grain UMC and another 10 boxes of 147-grain along with a pile of new Glock mags. The 9mm AR Carbine was lubed somewhat liberally with Break Free CLP and firing commenced. During this range session on the 25-yard steel range, the gun performed flawlessly. 1,000 rounds fired without malfunction. Just as pleasing was the fact eyes closed, you wouldn’t necessarily be able to tell a difference between this carbine and the more expensive B&T. So far…Mission accomplished! The gun was just as smooth, just as accurate with the Magpul MBUS…and simply about as much fun as you can have with an AR. In the next few weeks, I look forward to spending more time with it, getting a feel for its accuracy on paper and putting as much ammo through it as I can. Down the line, I might also consider swapping out that 8.3” for the 4” barrel and seeing what, if any, differences I feel. Regardless, the 9mm AR Carbine build so far is an absolute joy…both on the pocketbook and at the range. If you’ve been on the fence, I’d recommend taking a look at this build and seeing if it might be right for you. Thanks again to AR15Discounts.com for the parts. Links to the parts and their store can be found below. The finished 9mm AR Build with parts courtesy of AR15Discounts. 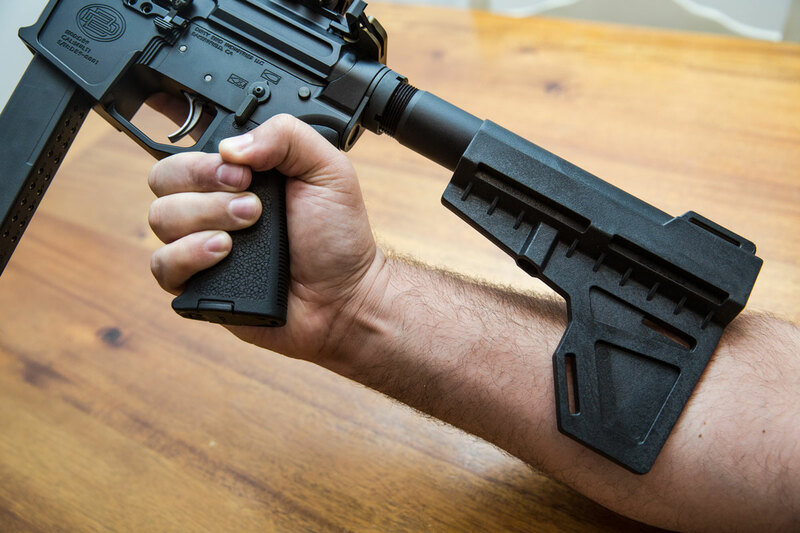 The link to the Magpul pistol grip is wrong. It links to a hand guard. I’m ordering the parts and building this. Thanks for the great article! Would love to see some pics and a range report once its done. Glad you liked the article. It’s done. This gun is fantastic. So much fun and runs like a top. GREAT to hear. I’ve had 3 buddies build this exact gun and, yeah…all of them love it. Quick question. Why have the Dirty Bird Buffer kit and the KAK Buffer Tube? good question…give me a few min. OK, thanks. I’m going with the KAK 9mm buffer, tube, and stabilizer. I’ll add a spring as well. 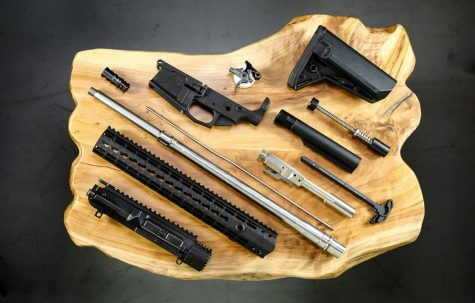 Jason, actually you don’t need that…you just need the KAK tube, a mil-spec carbine buffer spring, and extended 9mm buffer, a mil-spec end plate and castle nut. apologies for the confusion. I’m going to adjust the list above to reflect that. Thanks. That’s what I ended up ordering. Have you swapped out the 8.3” for the 4” barrel to see what, if any, differences you felt? I have not…I’m actually planning another build with an Angstadt Arms receiver with a shorter barrel. I’ll post here once it’s done. Are you thinking of building a ppc? Actually, I was going to buy a pcc until I read your article, so, now I’m thinking of building one instead. 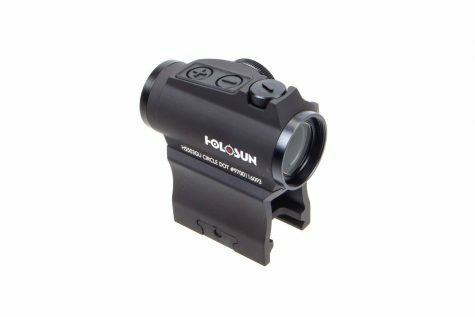 This would be my first attempt at buying parts and assembling a handgun, so any advice/recommendations for this newbie would be appreciated. Thanks for the great article and for opening my eyes to a whole new world of building vs. buying. 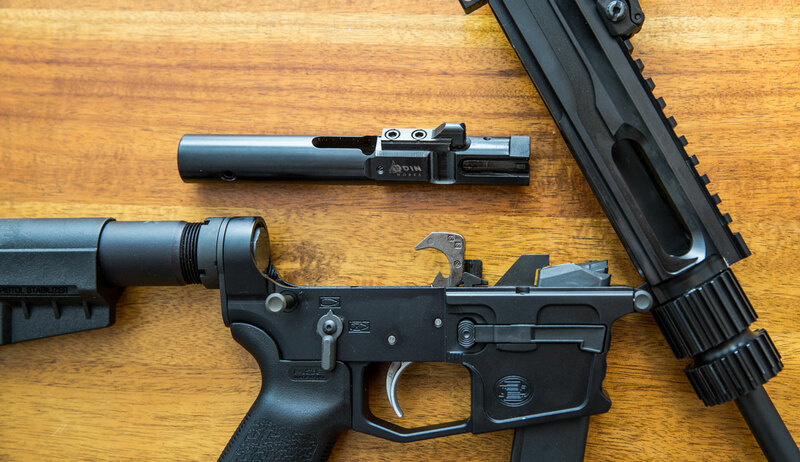 If you’re looking to keep it affordable, the build list above (links at bottom of article) is really nice…the upper and lower receiver set was really, really impressive….I’ve had a few friends build that exact setup and they’ve all been thrilled. 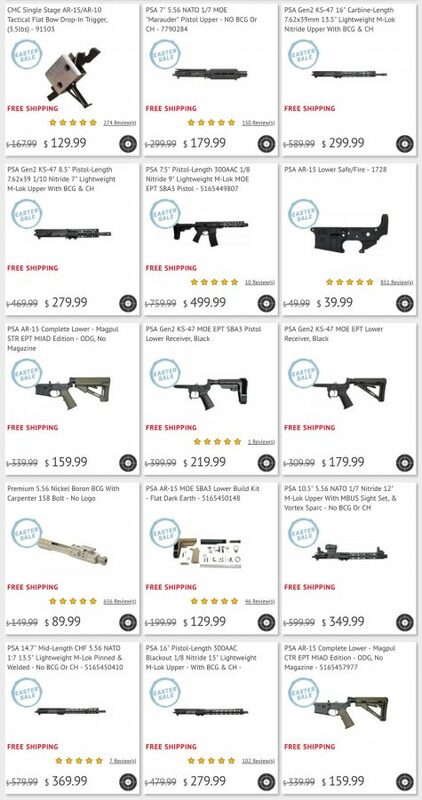 I think if I were going to move up to a different price point, I’d start looking at what JP Enterprises is up to… but at those prices, I’d be really tempted to go with a B&T APC 9. I’m trying to do this build. It looks really nice but I cannot find the dirty bird db9 receiver set for sale anywhere. Any place you recommend looking for it? parts list at bottom of article. i just added a bunch of the parts at the end of the list to a cart, and I was under 1,000. A few of the parts, like the receiver set were on sale. I skipped the BUIS and a few other small parts i already had. for the price, this is a very hard setup to beat for a fun 9mm.